What Kind of Events Will You Offer? Home > Getting Started > What Kind of Events Will You Offer? With so many events companies set up or setting up it is important to be clear about what you’re offering. This goes not just for the style or pricing of your events and ensuring you make them different from the competition, but being clear about what kind you or your company offers. You cannot target your dream clients until you know exactly what you’re offering. Firstly you will need to decide if you’re going to offer corporate events or private events. Corporate events are all things related to business, such as conferences, team building etc. Even within this arena it’s possible to break things down further – for example there are events companies that exist only to serve one large client and all their work is specifically to arrange conferences and events for that company. Other companies may choose to specialise in certain areas, for example specifically team building and spend their time doing nothing but. Other companies may offer incentive or reward programmes, and there are the more creative sides that offer themed events or large scale production. The way corporate events operate is pretty clear cut – a client will have a budget and a requirement and you will try to fit the brief. The important thing to consider if you’re planning to go into the corporate events sector is how competitive it has become. There are many, many agencies offering event support throughout the UK and worldwide and many client companies also have their own in-house team to facilitate their events, recognizing that this is often better value for them than contracting an outside agency. If you’re planning to break into this sector, make sure you have done your homework, that you have great contacts, and that you’re offering something unique. 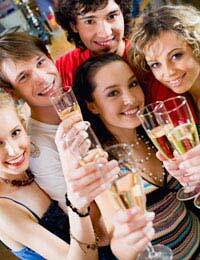 With private events, this tends to be largely weddings, hen and stag events and celebratory parties. There are many smaller events such as christenings but these tend to be arranged by caterers, with whom there is some crossover in the events industry. Wedding planners are a particular type of event company with high specialist values and a good wedding planner is worth their weight in gold! But if you’re planning on going into this industry be sure you are meticulous in your operations – getting anything wrong at the event can ruin the most important day of someone’s life! With hen and stag parties, there are a number of events companies that specifically deal only with this industry and they have packages put in place which usually offer great value weekends or experiences. If you’re planning to break into this market make sure you do your homework and get your prices set in stone. Falling somewhere between the two are charity events and you will often find that event companies from both the corporate and private sector operate to support charity events. This may or may not be unpaid or charitable work but can apply to all sectors. Also falling into all categories is the hire companies, such as those offering props and décor for themed events. If you’re planning on offering this service you can afford to operate within any of the above sectors, as long as you’ve costed out your storage and delivery overheads.